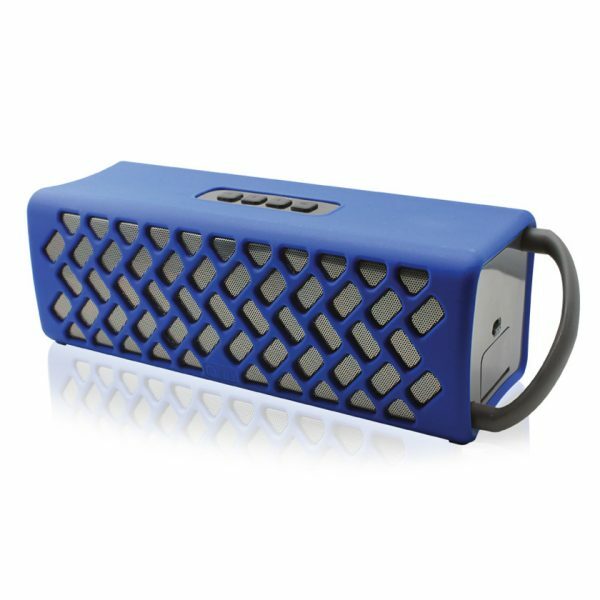 You'll have to hear the Wake's big sound in order to believe such a rugged speaker can perform so well and entertain so many. Make sure the entertainment keeps going by charging your phone or mobile device with the Wake's USB power port, even when it's running on battery power. Grab the Wake by the handle and take the party with you anywhere! – Bring on the water, mud, sand and snow! The Wake is rated IP57. This means its watertight construction prevents water, dust and other small particles from harming the audio driver. It also means it floats, so you don’t need to worry about knocking it into the pool or off the boat and watching it sink to the bottom. – Wake is IP57 compliant, meaning it is waterproof, sand resistant, and can be submerged in water up to 3 feet deep for 30 minutes without complications. – By meeting IP57 standards Wake is able to float, so you don’t need to worry about knocking it into the pool or off the boat and watching it sink to the bottom. – With its sturdy housing and protective rubber casing with an integrated handle, the Wake is extremely durable and built to handle the toughest environments. – Charge your phone or mobile device with the Wake’s USB power port, even if it’s running on battery power. – Wake will connect to almost anything that also has a Bluetooth chip. It doesn’t matter if they’re running IOS, Android, or Windows, just hook ’em up! – No Bluetooth? No problem! You can plug and play using the built-in AUX-IN and the inclued 3.5mm input cable. – A rugged design doesn’t mean compromised sound quality. Two 10W speaker drivers, and DSP to improve bass performance, combined with a passive bass radiator allows the Wake to pump out big sound with full bass that goes the distance.